BROOKLYN — A mother and father were killed and their 17-year-old daughter injured when a massive fire ripped through their Borough Park home early Monday, authorities said. 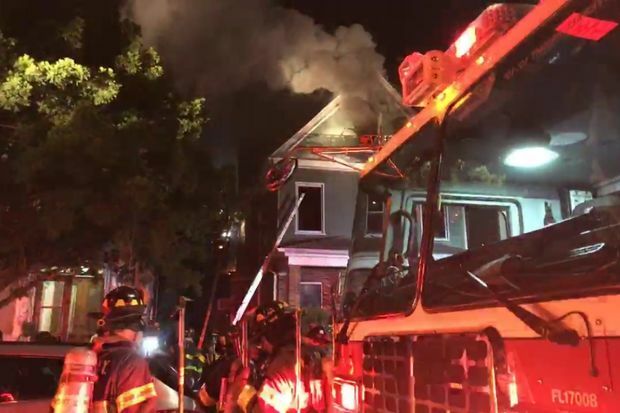 The blaze broke out on the first floor of the two-story home on 44th Street between Fort Hamilton Parkway and 12th Avenue just after 3:45 a.m. and was not brought under control until more than two hours later, fire officials said. Howard Gluck, 61 and his wife, Evelyn Gluck, 59, were brought to Maimonides Hospital but couldn’t be saved. Their daughter, Ann Gluck, 17, was taken to the hospital in stable condition, authorities said. 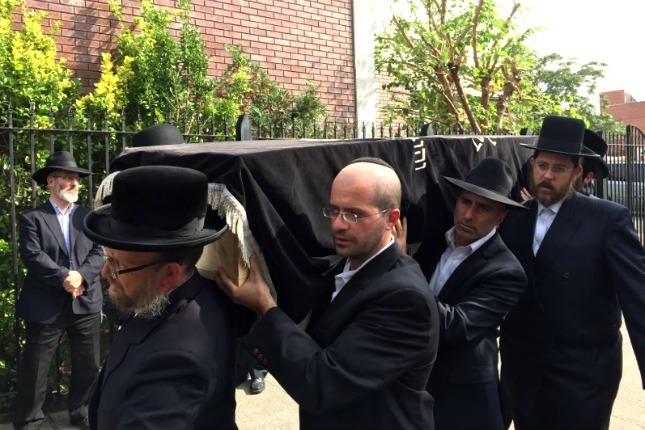 On Thursday afternoon, hundreds of mourners packed Shomrei Hadas Chapels — on 14th Avenue near 38th Street in Borough Park — for the couple's funeral. Maureen Weiner, who has lived in the house next to the Glucks for nearly 40 years, said she was "devastated" by news of their death. Her family ran out of their house when they realized smoke and flames were consuming the Glucks' home, she said. "I saw them on the stretchers [this morning] — I didn't know that they had passed away," said Weiner, who learned of their deaths on the radio a few hours later. "It was such a shock." The two were "very, very nice people" who had three older, married children in addition to their 17-year-old daughter, she said. "The father was a very quiet man — very sweet, gentle, quiet person," she said. "His wife was a very warm, caring person — if she could do somebody a favor, she was there to do it." Howard Gluck was almost always the first person to open the doors at the temple he belonged to down the street from his house, added Rabbi Eli Greenblatt, a Flatbush resident who said he knew the couple from weddings and bar mitzvahs they had all attended. "He had a tremendous reputation as being a kind, loving person," he said. "Nobody would say a bad word about the person." Four civilians suffered non-life-threatening injuries and were treated by emergency crews from Hatzolah, the FDNY said. Three firefighters were also hurt, though only one of those injuries was considered serious, FDNY officials said. About 138 firefighters worked to bring the blaze under control. Fire Marshals later deemed the cause to be accidental due to "careless cooking/grill" and said a smoke detector was not present.